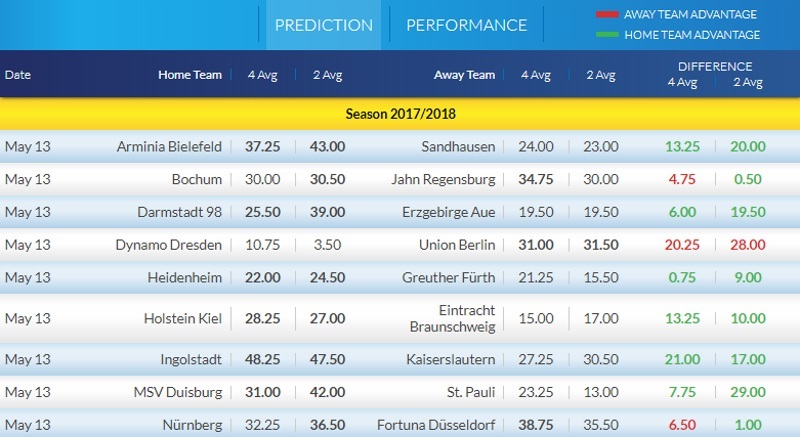 Here are the odds and ratings for the matches coming up in Bundesliga I and II this weekend. Let us know what you think are the pick of the bets to place for these matches! This final weekend of Bundesliga action sees us head to the Schwarzvald-Stadion for this crucial clash between relegation battlers Freiburg and mid-table outfit Augsburg in a 2:30pm kick-off this Saturday. The home side need a point to avoid a relegation play-off but even a defeat will be OK if Wolfsburg fail to win their game. Christian Streich's team come into this match heavily out of form. It is just 1 win from the last 10 league games which has seen the club sink down the table after it had seemed that mid-table mediocrity was looking like the outcome. The 3-2 win against bottom-placed Koln a couple of games ago has helped to keep their heads above water but survival is yet to be guaranteed. Augsburg were tipped to potentially struggle this season but find themselves in 11th place with European qualification only recently becoming an impossibility. Manuel Baum's men have failed to find consistency all season but have done enough to come into the final games with no threat of dropping down into Bundesliga II. Just 1 win in their last 7 league games means their domestic form is hardly much better than their hosts. The fact that Freiburg know a draw is enough to secure their spot in next season's Bundesliga has me thinking that they'll be reluctant to take any unnecessary risks here. Augsburg are unlikely to be motivated to push any muscles beyond their limit with holiday season due. There are also a number of key absentees on both sides that are sure to impact on the fluidity and cohesion of the playing styles of both teams. There have been under 2.5 goals scored in 6 of the last 8 away games for Augsburg. The away side have also drawn 5 of their last 7 Bundesliga matches on the road. Combine that with Freiburg's enthusiasm for earning at least a point here and this is forecast to be a very dull game unless Augsburg shock us all and start with an early goal to take the lead. 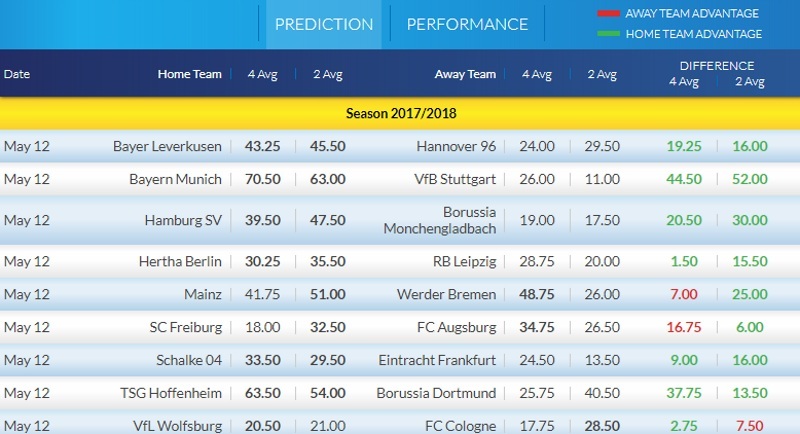 @Magic0024, @malabgd, @sajtion, @betcatalog, @DrO, @Neubs, @Xcout, and @JKos, what do you think the final day of Bundesliga action has in store for us? Hoffenheim have scored in each of their last 16 home matches in Bundesliga. Hoffenheim have scored 2 goals or more in each of their last 4 home matches in Bundesliga. Dortmund have scored in 81% of their away matches in Bundesliga. Bayern Munich have won their last 6 matches in Bundesliga. Bayern Munich have been undefeated in their last 6 matches in Bundesliga.